My wide legal interests guide me to provide critical knowledge to fulfill my clients in business, estate planning, landlord tenant law, probate, and real estate needs. Practice Areas: Business, Estate Planning, Landlord Tenant, Probate, and Real Estate. Todd has been a life-long resident of Tacoma, Washington. 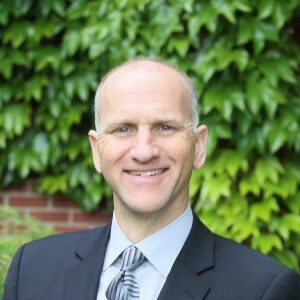 A graduate of the University of Washington School of Law in 1989, he previously received his undergraduate degree in business administration from the University of Puget Sound. Todd’s practice emphasizes estate planning (trusts, wills, elder law), probate, real estate, business formation and representation, and landord-tenant (representing landlords). His wide legal interests provide a balanced and informed knowledge critical to meeting and fulfilling the needs of his clients. Todd is a member of the Washington State Bar Association (and a member of the Real Property, Probate & Trusts Section), Tacoma-Pierce County Bar Association, and licensed to practice before all Washington State courts and the United States District Court for Western Washington. When not practicing law, Todd is involved with his family, church, basketball, baseball, bowling, and bicycling.